We believe that a really successful brand needs a flexible visual universe, not just a set of rigid guidelines and assets. That’s what we work to build as we develop a new brand or bring a tired one back to life. But our regular involvement with a client’s brand often comes to an end once the system is established and a few key applications are launched. So whatever we hand over has to be usable by the client’s internal team or other communications agencies. 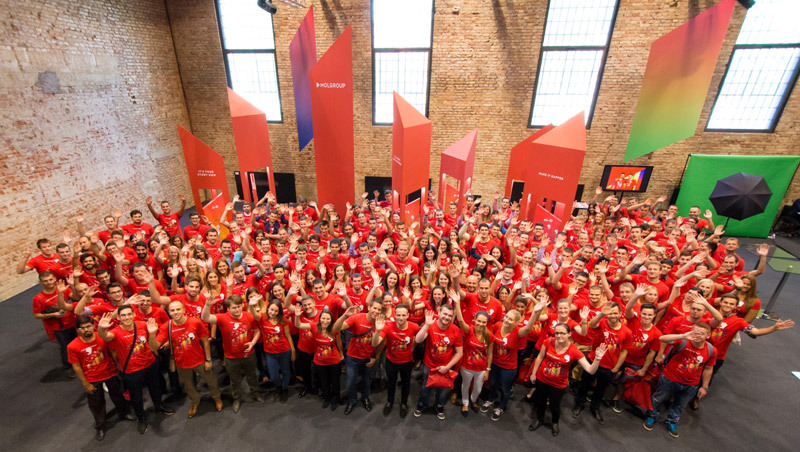 It’s not just a question of being easy to use – we also want them to feel so inspired by the brand framework we produce, that they go forth and create exciting work that endures. In short, we want to create systems people love. Not rigid brand guidelines, but visual principles that elevate the client’s content and challenge the norms of their sector. 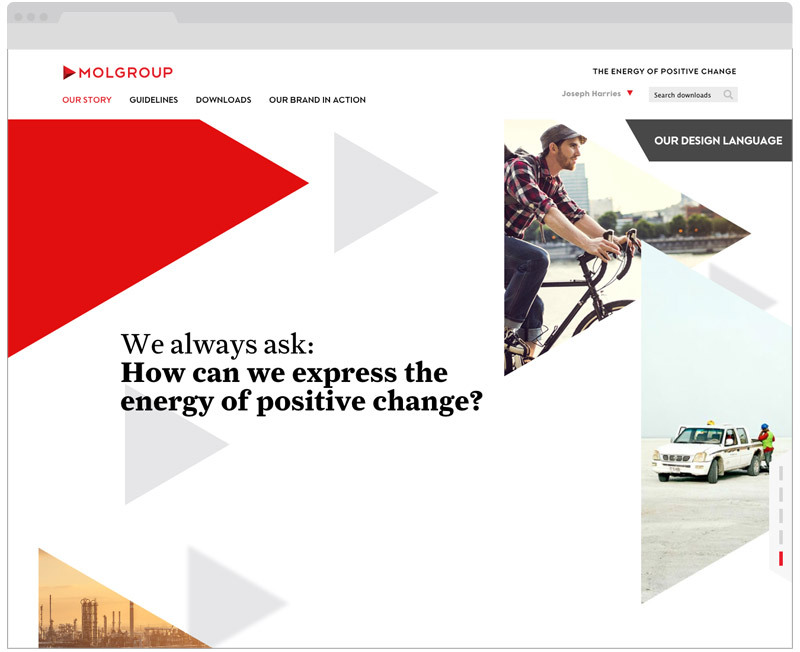 For MOL Group we produced a flexible brand language based on a triangular grid and red-to-colour gradients. As part of the handover, we ran brand workshops where the internal comms team and some local agencies could get stuck in with scissors and glue to get to know the system in a very hands-on way. Since then, they’ve been applying it to all their comms, with occasional guidance from us. 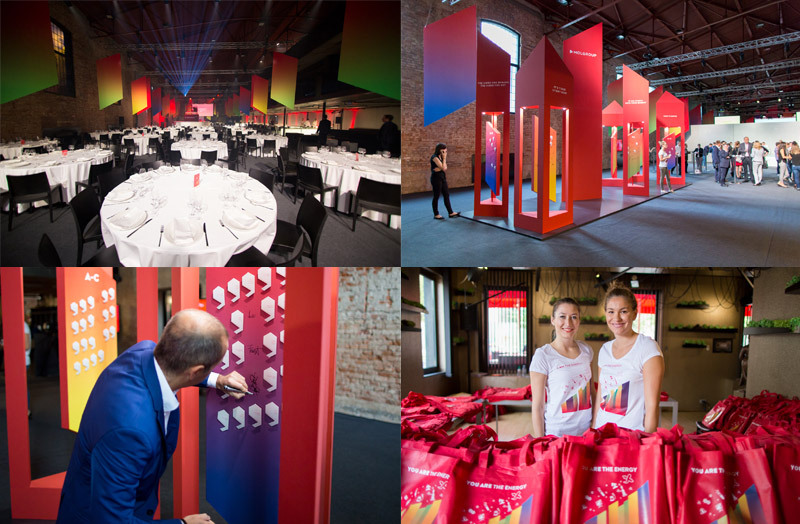 This awards ceremony and exhibition used the shapes at scale to great effect. Ads and magazine spreads are beginning to use the principles in a way that goes beyond decoration. And the online Brand Centre has been built, an internal resource to educate all 30,000 staff about the new brand. 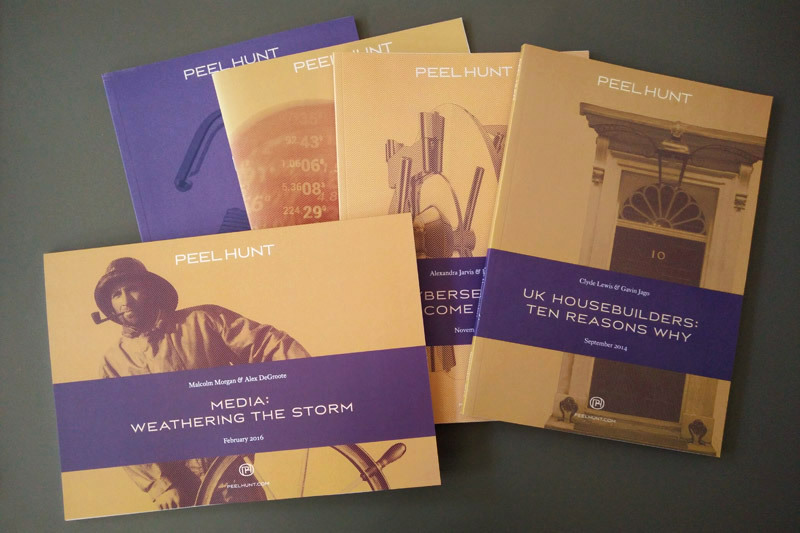 We’ve been working with Peel Hunt on their brand for a few years. Every month or so they create Sector Notes with the latest research from one of the 16 sectors they cover. Our templates for the cover give them the space to come up with a headline and visual idea each time. The research analysts often come up with the image ideas themselves – not people you’d think would be visual thinkers. A couple of years on, they’re still going strong and feel like a unified set (despite the occasional oddity like landscape formatting). 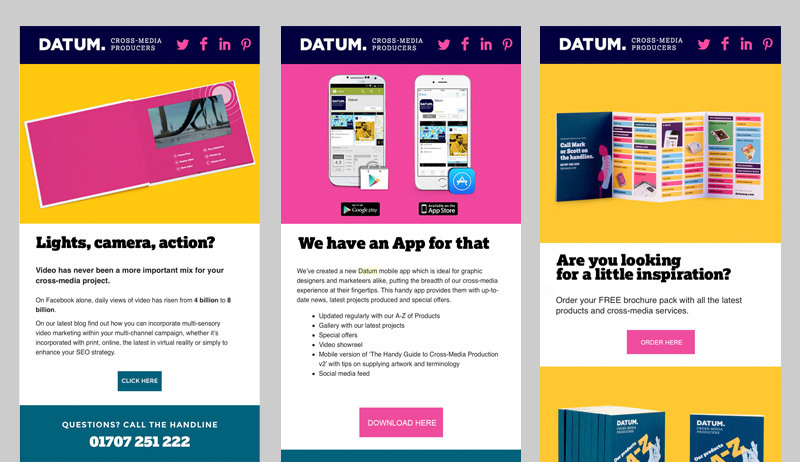 For Datum, an established printer and cross-media producer, we created a new brand identity centred on ‘helping hands’ – illustrations of the staff members’ hands interacting with other page elements. 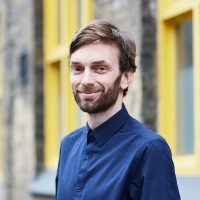 They’ve gone on to create lots of marketing material that uses the hands in inventive ways, along with the distinctive typography and colour palette we created. Their ongoing email marketing has become much more focused and distinctive. 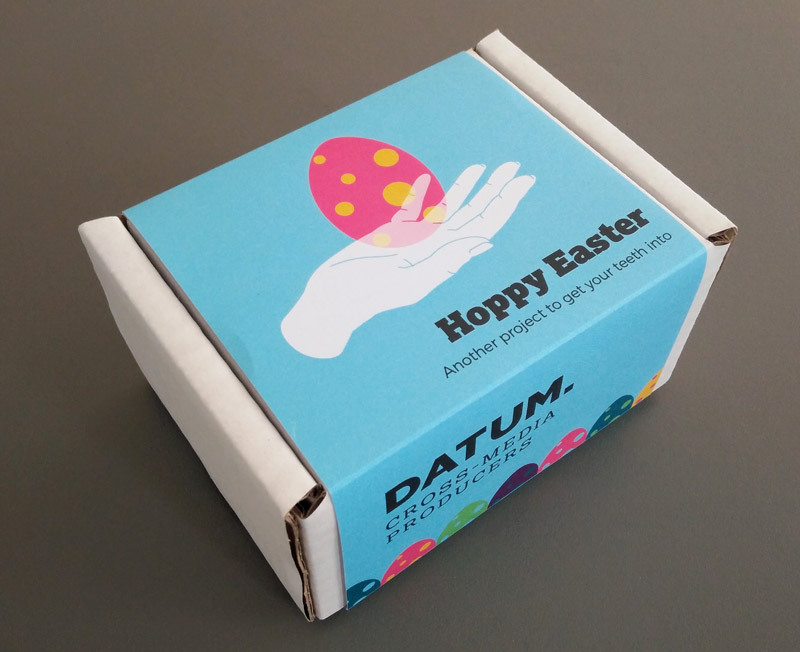 At Easter, they sent out a tasty box of mini eggs, nicely packaged. 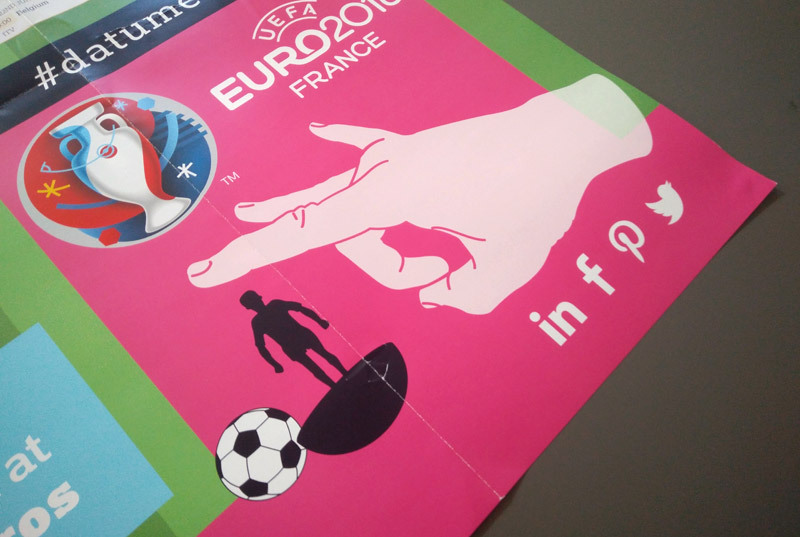 And for the Euros, they produced the classic mailer – a wall chart and downloadable sweepstake kit, with a nice Subbuteo-style illustration. All different systems with different principles, but all (we think) successfully living on after the project has come down from the studio wall.